Do we have some long-weekend reading for you! 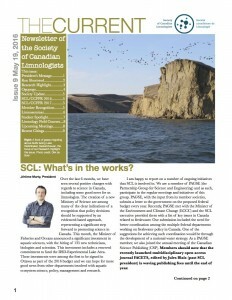 That's right, another issue of our newsletter is hot off the press. Limnoseminar: need we say more? And of course, recent citings, letting you know what your fellow members are publishing. Thanks to all our contributors to this issue, and we hope you enjoy it!